"Tee Times Equal Great Times!" Make a tee time and claim all of the benefits we have to offer! Call in your tee time up to 6 days ahead of time. Or reserve online. Times quickly fill up on our tee sheet and we do not want to miss seeing you. . . Schedule a tee time soon! "New and memorable 18 - Hole experience"
"Open to the public, for all abilities"
"19 impeccable greens (including practice green)"
"Acres of green space, fresh air, and wildlife"
"Discounted punch passes for loyal customers"
"A perfect destination for foursomes and group outings"
"Fabulous full length practice range with grass and covered tee stations"
"Quiet and serene. No overhead power lines or noisy trains, or freeways nearby"
"Sweet deals for company, charity, and group outings"
"Unique and entertaining leagues and tournaments"
* Special discounts available for seniors (55+), juniors (17 and under), military and HAFB employees. Crane Field By The Numbers. Crane Field is a regulation, full sized par 72 course with approximately 4 hour and 15 minute rounds. There are four tees on every hole to match your driver distance. Red (forward), White, Blue, and Black (tournament. Open seven days a week (Seasonally). Dawn to dusk to make it convenient for you. Prime tee times go fast so we would advise you to always reserve a tee time. But we do accept walk ons and welcome players of all abilities. 18 Hole golf course. All par fives and par fours are "driver length". Every hole has a unique playing challenge that will keep you coming back for more! Watch out for the the wildlife and water ways. Hazards: White sand bunkers, grass bunkers, hills, ponds, wetlands, native areas, and trees. Wildlife Spotted: Deer, fox, turtles, fish, amphibians, beaver, songbirds, pheasants, birds of prey, and water fowl such as ducks, geese, pelicans, heron, crane, egrets, and gulls. Other Features: Elevated tees, cement cart paths, driving range, practice green, quiet electric carts, equipment rentals, stocked pro shop and clubhouse. Many people assume the name of the course was inspired by the local water fowl. However, it is only a lucky coincidence if you happen to see any majestic cranes during your golf round. “Crane” is a family name of the course builders. They decided to use the name to honor the legacy of the Crane family and other early pioneers of the Bear Lake Valley. James Crane, specifically, was a community leader who resided near Montpelier, Idaho, and left a legacy of great character and integrity for his ancestors to emulate. Crane Field is the newest golf course in the area. It is young and full of energy (and brand new to a lot of golfers!) The course is situated in a classy Club Ivory Development in a rapidly developing area of Clinton city. A new connector road was recently completed on 3000 W. making it even more convenient to locals and visitors on the west side of I-15. We hope you will show your support for local golf recreation and be a part of this new and developing course. The course design emphasizes beautiful modern greens and wide fairways. Hazard placements include many sand and grass bunkers, wetland areas, ponds and waterways, bushes, trees, and native areas. Other features include elevated tees, cement cart paths, a full size driving range with covered mats and grass tee lines, exquisite clubhouse for tournaments and weddings, golf shop, lessons, and snack bar. 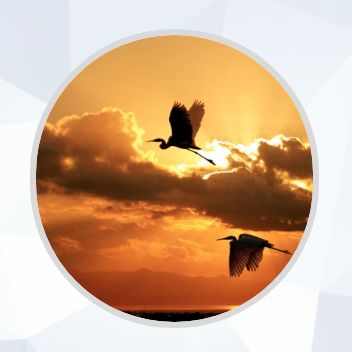 Crane Field is open seven days a week, weather permitting, dusk to dawn. We hope to see you soon! Q. I’ve heard about your email specials and contests. How do I make sure I am included in the mailing list? A. Simply subscribe at the bottom of any of our webpages to register your email. If you have already done so, check your spam inbox and make sure the monthly newsletter from us is not lost in there. Select “Not spam” to make sure you see future mailings in your proper inbox. Q. 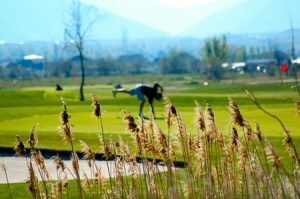 Can I host my own tournament at your course? A. Yes, you can set up tournament 30 days or more before your event date at tournament rates. A deposit or and signed agreement form may be required. If you would like more help please call and set up an appointment with our tournament coordinator. We also have add-ons like breakfast, warm-up range balls, lunches, drink bins, and learning clinics. For more information click on the “Outings” link at the bottom of this page. Q. Does your course have a driving range? A. Yes, we have a 300 yard long driving range with grass and covered mat hitting areas. It is one of the few driving ranges around at that length. We also have an oversized practice green used for putting and chipping. Our golf instructors praise our practice area as a real advantage for their students. Q. Does your golf course teach lessons? A. Yes, our teaching professionals instruct all experience levels. We offer half hour and one hour lessons and punch cards with sets of 5, 10, and 15 one hour lessons. You can schedule appointments at the clubhouse front desk, or leave a message to be contacted through our website. More information available by clicking the “Lessons” tab at the top of this page. Q. Do you sell gift passes? A. Yes, we sell passes (not season passes) in the form of 9 and 18 hole gift vouchers, discounted multi-round punch cards, and gift cards in $25, $50, and $100 denominations. Passes may be purchased at the clubhouse or at our online store. Follow the “SHOP” link at the top or bottom of this page. A. We typically hire our seasonal help by April of each season. But we are always looking for the brightest and the best! Check our “Employment” link at the bottom of this page for more information, or to submit an application. Q. Do you sell beer at the course? A. Yes, we are currently licensed with City and the State of Utah. Canned beer may be purchased after 10 am. No outside food or beverages, including alcoholic beverages, may be brought on to the course property as mandated by State law. Visit the clubhouse to view our full collection of products. Q. Do you have leagues? A. Yes we host a Association every season. Currently we have a men’s division and senior men’s division. We have a sign up day each year in March, but members can join at any time of the season. It runs from March-September. (Plus some post season events in the fall if the weather permits.) Each division has slightly different schedules. There is an annual membership fee. Each week there is a different nine hole events, and monthly there is an 18 hole Saturday event. Game fees are required each week you play, in addition to the regular green fees (or use a punch card.) Players do not need a UGA index as we keep in-house handicaps. More information available by clicking the “ASSOCIATIONS” tab at the top of this page. A. In your everyday busy life, golf is one of the best excuses to spend some hours out of doors. Breathe in the oxygen-rich air from the greens and fairways, listen for the sounds of nature and the “swish-crack” of your driver! Discover the thrill of driving and putting on our well-tended grass. Our staff is always ready to help personalize your golf round. Bring your family and friends right away! Golf is a life-long sport you can play forever. By booking a tee time you are supporting local business and promoting the success of recreation venues in your community. Q. What kind of discounts do you offer? A. We offer green fee discounts for junior players 17 and under. We offer discounts for senior players 55 and older. We also offer military discounts. We also offer discounted punch cards available all season long. Coups, golf shop sales and promotions change are offered throughout the year, as determined by management. Also, we have a phone app available free for iPhone and Android with coupons and loyalty punch cards. Q. What kind of course is Crane Field? A. Crane Field is a public course located in the Layton area of Davis County (Clinton City.) Crane Field was designed for golfers of all abilities with elevated tees, wide fairways, and oversized greens complexes. It is categorized as a Modern American Parkland style, or Mountain View style. It is comparable in length to other local courses such as Schneiter’s Riverside, The Barn Golf Club, and Ben Lomond Golf Course. Crane Field is not a municipal course or county course like Valley View or Davis Park Golf Courses. It is a privately owned course open to the public, with competitively priced green fees and many golf amenities to keep you entertained. Q. What is the difficulty of the course? A. Crane Field Golf Course is moderately difficult at 6,300 yards from the black tees and 4,350 yards from the forward red tees. The course is generally flat with low lying wetland hazards, white sand bunkers, water hazards, trees, mounds in the rough and around greens complexes. It is heart and joint friendly for walkers, but long enough that the majority of people ride carts. Q. Can you suggest which nine (side) would be better for me to play today? A. The front nine is slightly shorter than the back nine, and it has one more par 3 than the back. The front is more favored by higher handicapped golfers. The back nine has more switch backs and not as many houses are in play. The front has more water hazards and some longer par 4’s and par 5’s. It is typically considered more favorable by lower handicapped golfers. Score averages are slightly higher on the back nine. On weekends, holidays and busy times you may be assigned which side to play depending on the volume of golfers. Q. Do I need a Tee Time? A. We recommend you schedule one. Especially Friday through Sunday. We allow walk-ons, but they often must wait on standby half an hour or longer. 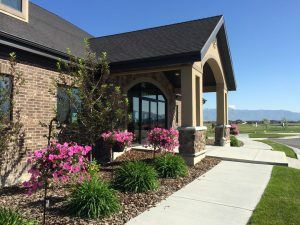 Please book tee times online if you can, or call the front desk 801-731-7200. Tee times may be reserved up to six days ahead of time. Large groups should be booked out several weeks in advance. Click “Start” button at the top of this page to book an online tee time. A. We schedule tee times from sunrise to 2 hours before sunset. During the summer that is about 6 am to 7 pm. We are open everyday March through December. During the summer the clubhouse is locked at 8 pm. We sometimes close because of adverse weather. Q. Do you rent out your clubhouse? A. Yes, except on Saturday or Sunday mornings. We have block rates for big events and hourly rates for small groups. We also include complimentary clubhouse use for tournament events. Call or visit the clubhouse. A deposit and signed agreement form will be required. Outside caterers may be used by permission only. Beer is available through the clubhouse, all other alcohol may be served by permission, but cannot be re-sold. Add-ons are available such as soda fountain drink rental and set-up. Events must be cleaned up by 10:00 p.m.
Q. Do you have any Business or Corporate perks? A. Yes. We have corporate discounts for bulk sales of individual rounds or punch passes. The more you buy the better the deal! Give them away as gifts, referral gifts, and bonuses, or resale to employees and pass along the savings. We have course sponsorships available each year. Advertise your biz on score cards and signage and get lots of new contacts and golf from us! More information can be found by clicking the “Corporate” link at the bottom of this page.